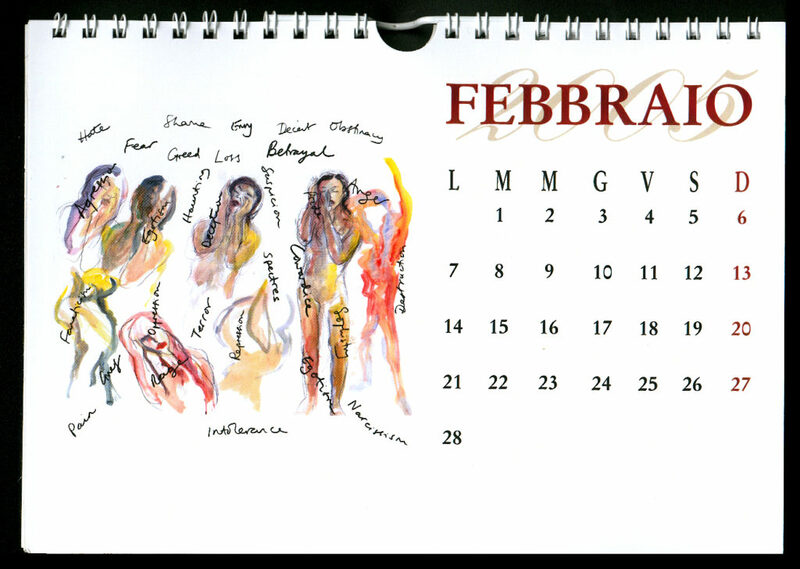 Spiral bound calendar/book digitally produced in an edition of 30 copies, each signed and numbered by the artist, containing the artist’s twelve images for the Game of Dice exhibition in Barcelona 2004, the artist’s lay-out for the completion of the dice and two photographs from the exhibition. 32 pages, including cover page, 15 x 21.2cm. The cover reproduces a hand-written text by the artist written as a message for the New Year. The edition was produced to be circulated to friends of the artist.